Castlereagh Borough Council has been running the Castlereagh Safe and Well Project (C-SAW) for nearly five years. Funded through Big Lottery Fund, our project works with older people to improve their health and wellbeing. We provide opportunities for them to take part in a variety of activities, including Boccia, cooking and Home Safety classes. 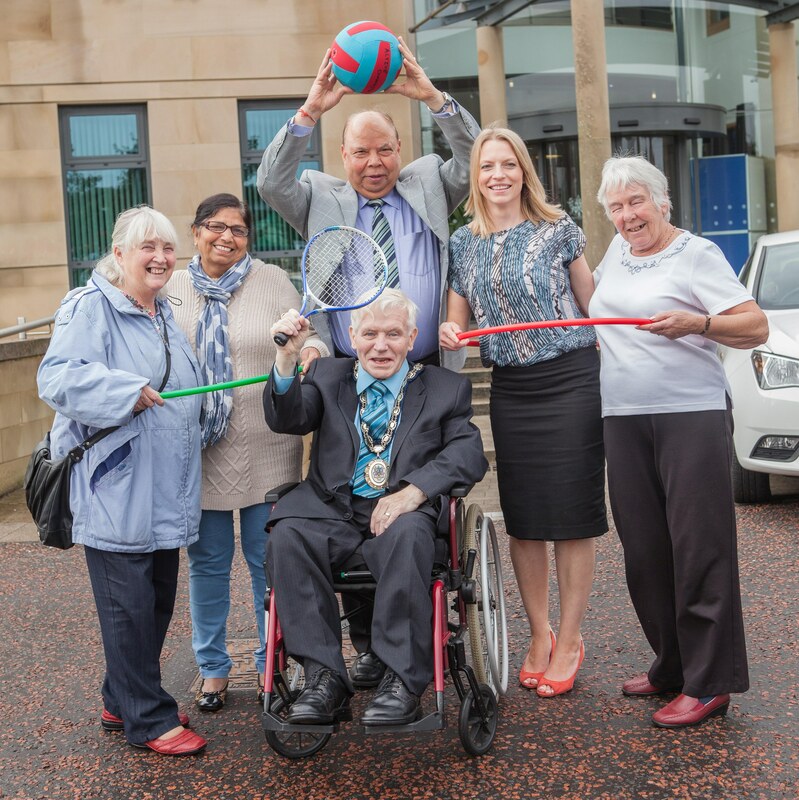 We recently celebrated the success of the project by holding a Seniors Fit and Well Morning in Castlereagh Civic Centre. We had a mix of people from local community groups, older people’s groups, health professionals, Councillors and South Belfast MLA, Fearghal McKinney – and everyone had a great time. I explained about programmes we have on offer through C-SAW. Margaret Devlin-Hania, a Health Improvement Practitioner with the Belfast Health and Social Care Trust, highlighted the importance for physical activity and the weekly recommendations for older people. Nuala Macauley, Funding Manager for Big Lottery Fund, spoke about our funding and paid tribute to the success of the project. One of the highlights was a ‘Who Wants to be a Millionaire’ style quiz, which focused on preventing falls in the home – we had great fun winning an imaginary millions pounds. We rounded the morning off with an entertaining session of chair based aerobics, delivered by Castlereagh Active Community Coaches. Everyone got involved and felt ready for their afternoon tea treats. If you would like to know more about what C-SAW has to offer please contact us on csaw@castlereagh.gov.uk or 028 9081 4884.